William H. Baumann was selected to become Commissioner on July 1, 1951. Commissioner Baumann, only thirty-one years old at the time, became the youngest State Police Commissioner in the nation. A number of changes came to the growing Department in the mid-1950’s. The Field Force Division started using radar as a speed enforcement tool in 1954. Two bloodhounds, “Dutchess” and “Major” joined the force and made significant contributions in searches and rescues. A new microwave installation was also completed between Headquarters and the Rutland District Office improving radio communications. The Crime Lab began to use color photography as an identification tool. The Department expanded into the polygraph field at about the same time. 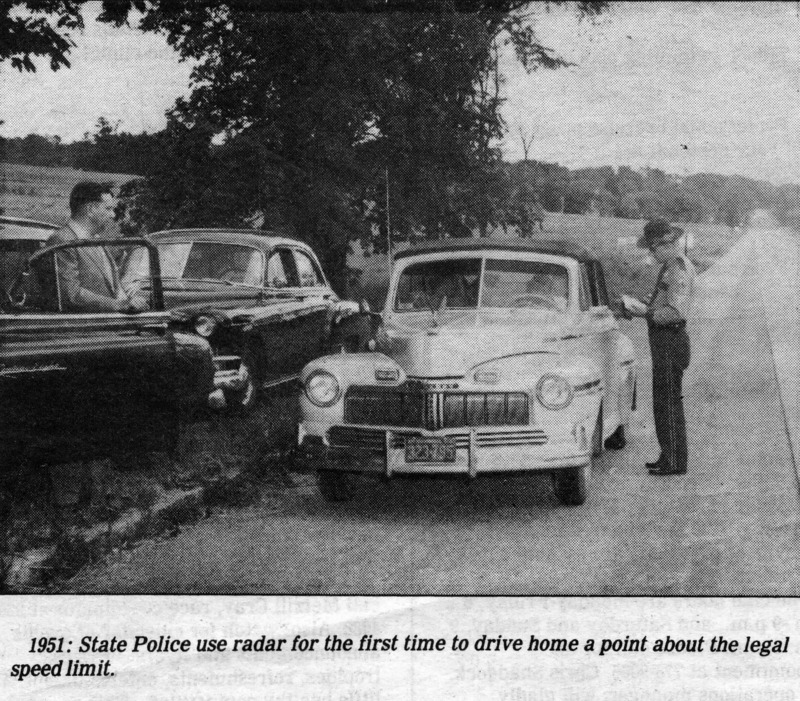 The first polygraph instrument was purchased and Trooper Glenn Davis became the state’s first licensed polygrapher. Before this the Department had to use facilities and examiners in neighboring states. The first year of polygraph operation 115 examinations were requested by law enforcement agencies.